Ourea Events have been creating some fantastic new events on the Mountain Marathon Scene over the last few year. Marmot are the main sponsors for 2 of these events. Back in 2011 MountainRun moved into the events planning market, planning the tough but excellent courses for the Saunders Lakeland Mountain Marathon. 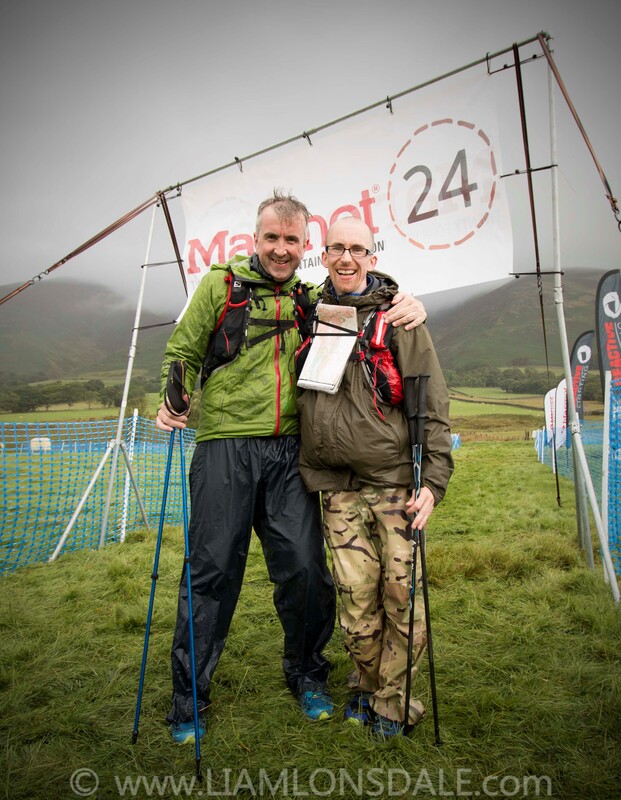 Shane Ohly the MD of Ourea Events came second in the KLETS course and employed MountainRun to plan the 1st revamp of the Great Lakeland 3Day Challenge, since then Ourea Events have used MountainRun as freelance planners for a number of their events. 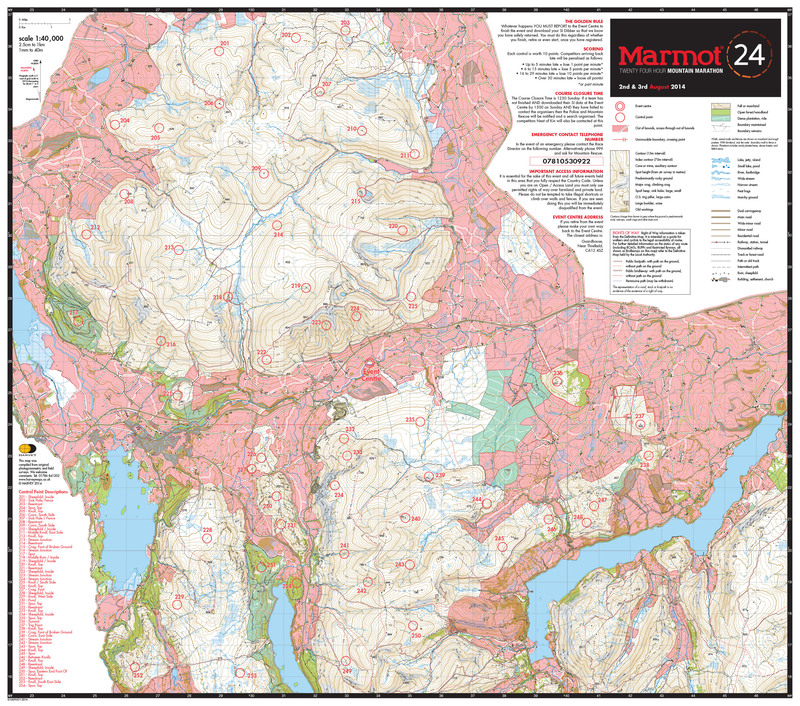 2013 saw MountainRun plan the courses for the 1st Marmot Dark Mountains & now in 2014 they have employed MountainRun to plan the new & very exciting Marmot24. The Marmot24 is a first in the UK, using the time honoured mountain marathon format & mixing it up with the European Rogaining format. 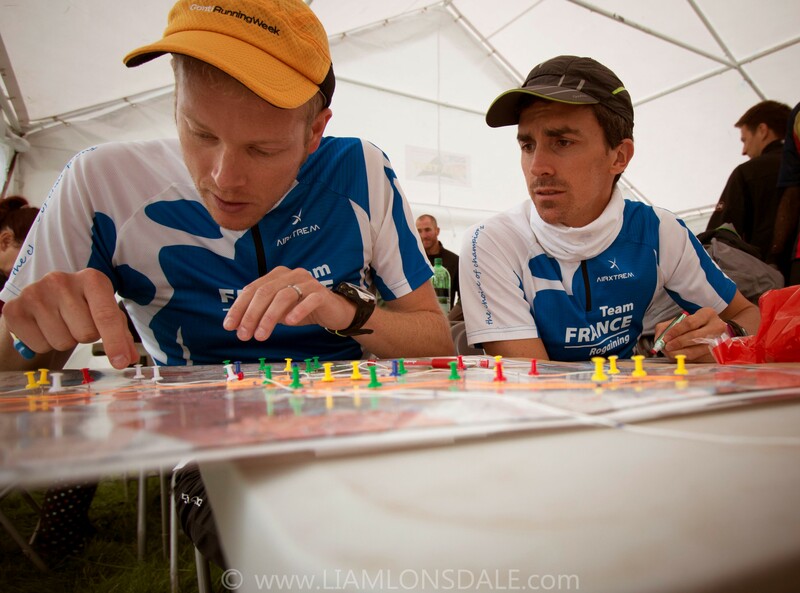 Being a 24 hour mountain marathon the M24 uses an orienteering score design, but only applying 10 point to each control. The teams are allowed their maps at registration, which opens 3 hours before the event is due to start. This gives the tens up to 3 hours to plan their routes around the massive area used, which this year was spread over 300sq km of tough Lakeland Fells. We used the Northern Fells behind Blencathra & Skiddaw, the Northern Helvellyn Massif of the Dodd's & Clough Head, the St Johns in the Vale fells of Low & High Rigg, the Armboth Fells between Thirlmere & Watendlath & the outlying Ullswater Fells of Watermillock Common, Gowbarrow, Little Mell & Great Mell Fell. 44 teams set out at 12pm on Saturday the 2nd of August to pit themselves against these tough fells. The line up of teams spanned from the UK based mountain marathon scene plus some international teams from France, Spain & other European countries. The teams from Spain comprised of world champion rogainer's who traveled in especially for the event, courtesy of Marmot (they are marmot sponsored athlete's). 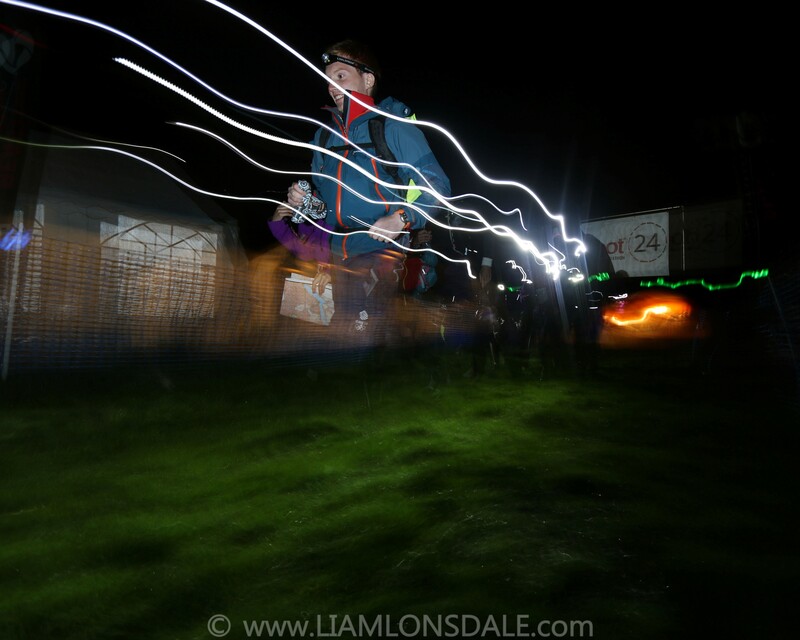 Teams ran though the afternoon in pretty full on Lake District conditions, some heading back in to the events centre during the evening and night to either re-fuel with food, take some time off their feet or get some well earned sleep. The 2 teams who were fighting out the lead, being the Spanish team, marmot sponsored rogaining champions, Aurelio Antonio Olivar / Angel Garcia & Kenny Leitch / Keith Masson of Scotland spent 24 hours out on the fell, fighting the terrain & weather to come back in with massive scores of 390 & 380 respectively. There were 540 points available. The planners route collected 390 points, with an extra 40 points available if time would have allowed. 5 Teams headed out at 12:00am on the 12hour course & only 1 team turned up for the 6 hour course which set out at 06:00am. All competitors gave massive appreciation for the design of the event, loving the fact that they were in control of how long they were out on the fell & loved the flexibility of the whole event. There was a massive effort pre-event, by all the marshals to get the events centre set up & the controls out on the fell, and a massive effort by marshals & friends of Ourea Events to bring the controls back in from this 300sq km area that was used. Charlie is going back out this afternoon to finish off the control collection from the Helvellyn Massif. It looks like the Marmot24 is set to be a growing feature in the mountain marathon calendar for 2015. Can you afford to miss out on this new, exciting & massively enjoyable experience? Look out for the entries going on sale for 2015, for 24 hours of racing, somewhere in the UK. 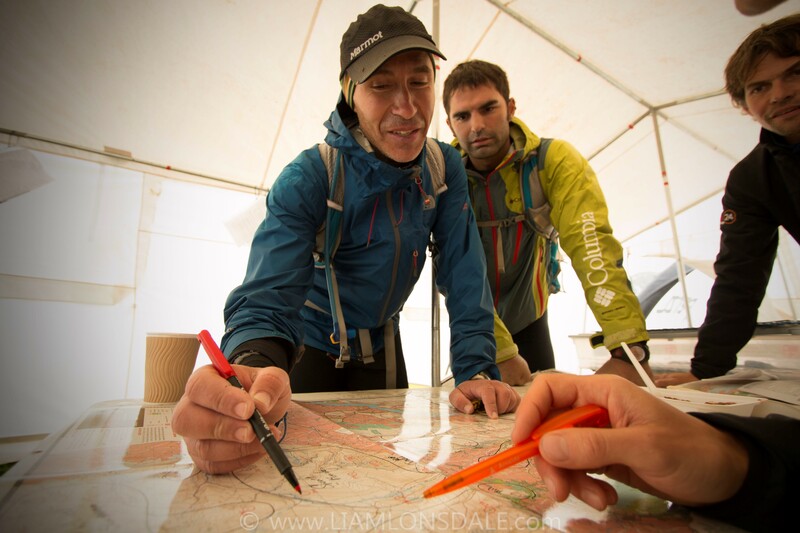 A French team plans their route for 24 hours of running. Berghaus Trail Chase - The chase was ON! !